If you have a stain that is difficult to remove with ordinary surface cleaners, start by polishing it with a non-abrasive cream sold for this purpose. 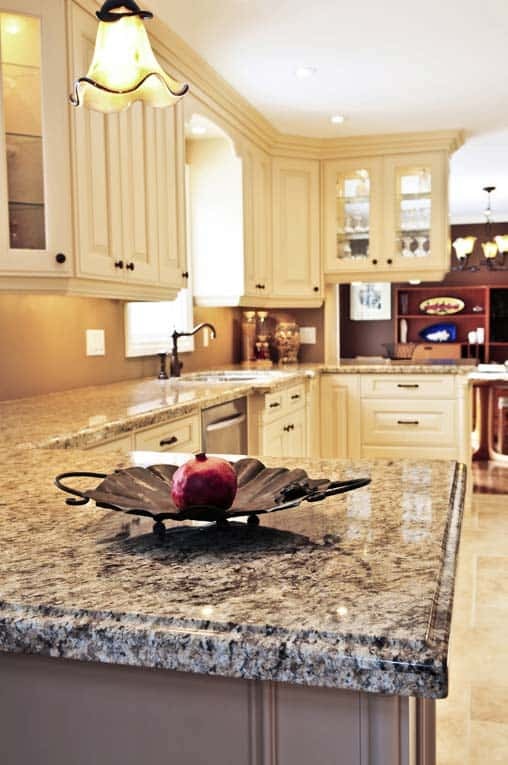 All types of stone are porous, and some stains can become embedded in the surface. 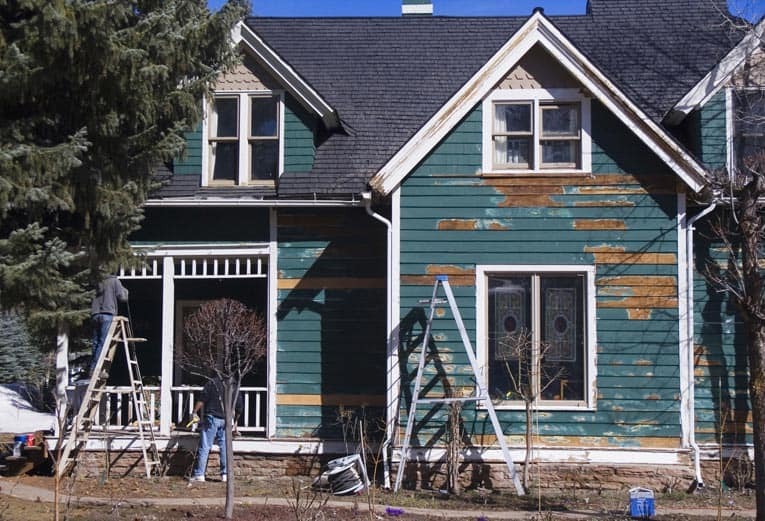 If polishing cream doesn’t get out the stain, there are non-solvent, non-toxic poultice powders sold for specific types of stains (rust, oil, ink, wine, etc.). Poultices re-absorb the stain out of the stone. Their effectiveness often depends on the surface texture and the stone itself-marble, granite, limestone, slate, etc. Food spots, water stains, and dull patches can be prevented in the future with an application of wax or a commercial sealer. 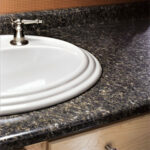 If a small section of stone countertop breaks off, you can use epoxy to glue it back in place. Many kinds of stone are variegated in color, and this helps to hide the repair. There are also clear and colored epoxies that might closely approximate the color of the stone. If small chips are missing and you can’t get the repair to mate precisely, you can try using colored wax to fill the cut line after you epoxy the break. Large pieces, or sections that have to support their own or other weight, are more difficult to glue successfully. Professionals sometimes drill into the fractured edges and insert metal pins to hold the pieces together. 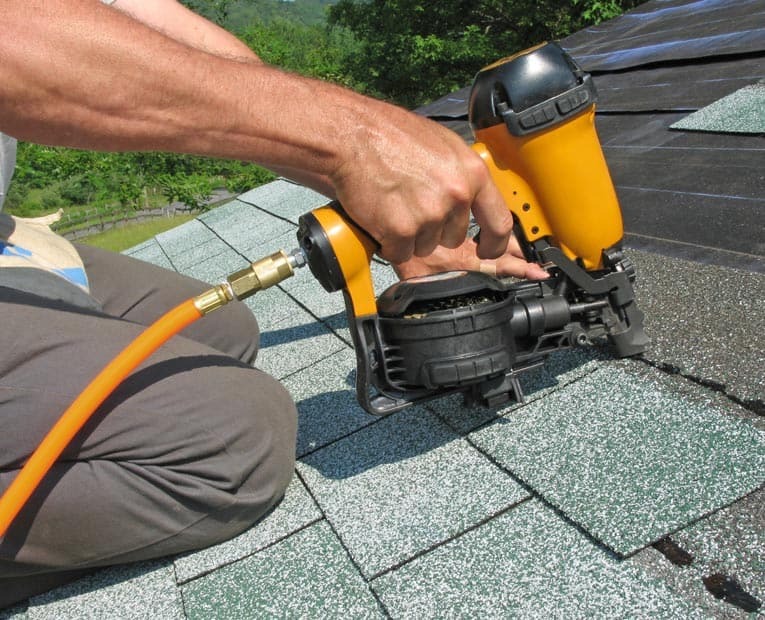 This takes skill to prevent making the damage worse, so consider your experience carefully before you attempt this repair yourself. 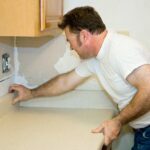 Stone polishing cream can remove minor scratches from many types of stone, especially the softer marble, limestone, and terrazzo.Harder materials such as granite, slate, and stone agglomerates may require a more aggressive abrasive compound such as pumice, jeweler’s rouge, or “honing powder,” made especially for stone. Any stone surface that has been etched by food acids or crystallization must be re-polished. Start with a more abrasive compound to smooth out the surface damage and then finish with a polishing cream to remove fine scratches. Finally, wax or seal the surface.